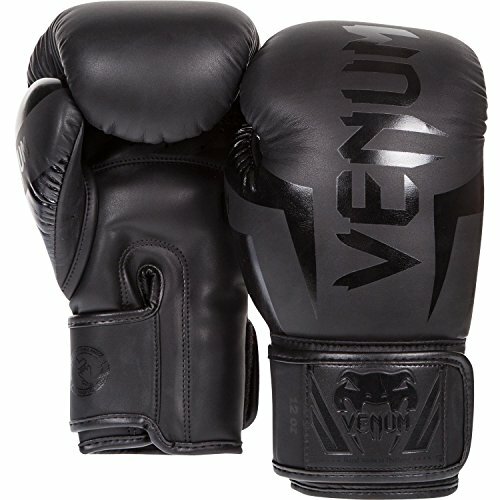 Venum has already earned quite an excellent reputation as a supplier of boxing and MMA equipment and for a good reason. Its quality looks, and price indeed speaks for themselves. 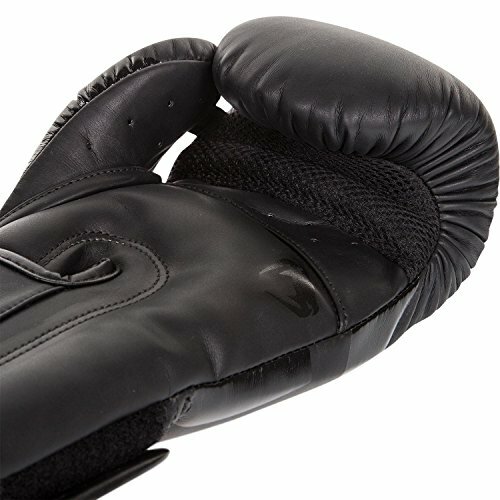 The best thing about Venum boxing gloves is that they prioritize utility and functionality over anything else. 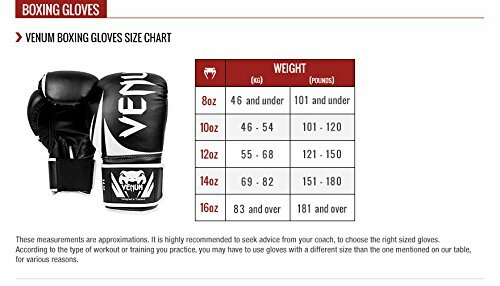 These Venum Elite Boxing Gloves are excellent for sparring by beginners and intermediate level. But, those who are in advanced level could also use this glove without a problem. This Venum Elite Boxing Gloves far exceeds the quality of other Venum Gloves. It is mainly built not just for hitting the bags. feels so comfortable as if you're using a glove that's made from softer latex leather. It feels so smooth on your hands, and it also feels snappy on your fingertips. Once you put this on, it would feel like it’s a part of your hand. receiving skin less prone to friction that could jumpstart the onset of irritating rashes. And, all these would mean good news for your sparring partner! surface does not wear out too quickly. regulates the heat while also making sure that your hands remain dry. Its mesh fabric and punched holes provide ample ventilation for the hands. The thumb area also has additional ventilation. This translates to cool hands even in the midst of heated throwing of punches. Besides, its ventilation also makes your hands less likely to smell bad after training. strengthened seams that could last longer as it makes it more durable and less prone to wear and tear. Plus, better wrist support for greater protection. Read Also: How Are Boxing Gloves Made? amount of support for the hands. Besides, this triple density foam also means greater durability and more capability to achieve maximum impact. It has sufficient padding on the knuckle and thumb areas. It also has enough padding on the front and back part of the hand. Its advanced and reinforced foam also provides better shock absorption during blows thus lengthening its lifespan. It also makes it more comfortable for you to transfer the power of your punch into your opponent, knowing that your knuckles, fingers, and hands are well-protected. which means it is not ideal for punching bag workouts. Luckily, these gloves can be used comfortably both for sparring and practice on the canvas. These gloves possess a crucial ergonomic alignment that helps its users make the most of each punch. It is shaped in a way that your hands are bent towards your wrist joint. This forces the hands to punch directly with its knuckles which is good for boxing or kickboxing because it allows the hands to rest on a punching position naturally. uncomfortable for those who want to hit or block with their hands more opened. This feature may not mean an advantage to those who are into Muay Thai since they are more likely to prefer using gloves that enable their hands to shift easily when they need to clinch, parry or strike. The hand and thumb compartments have ample space. Although some people do not like it when the thumb part feels pretty spacious. Its large compartment could mean discomfort for those who have small hands. Its extra room in the thumb and palm areas make it more significant than most of the gloves available for boxing that you can find in the market. For those with smaller hands, this may pose a problem as it reduces its stability once it's worn. For men with bigger hands and want their gloves to be something that feels tight enough, this Venum Elite glove would be a perfect option. It has a firm fit so you won’t have to worry once you go heavy on the bag or pads. effort and less time to put on by yourself. Taking them off and putting them back on during short training sessions can be such a breeze if your gloves have velcro straps. This is such an advantage for beginners who are training alone. the need of someone else’s help, unlike when you’re using lace up gloves. Its long velcro strap helps ensure that you can lock your fist and your forearms in place. This makes you feel more secure which is a big deal when it comes to defensive drills and parrying. actual fights in the ring. Choosing the right gloves is crucial. It will not only reduce the risk for injuries, but it can also serve as great motivation especially for the budding boxing, MMA or Muay Thai fighters. This is when Venum Elite Gloves will prove to be your best option as it also includes 100 percent attached thumb and reinforced palm that reduces the likelihood of getting injured even with the most devastating punch that one throws. prevents the thumb from being hit accidentally. So, if the inches are attached, full force is taken on the knuckles while your thumbs are out of the way. partner's eye. Get these gloves, and your sparring partner will definitely thank you for it! makes it very suitable for its purpose. The looks alone conveys a message that you're serious about boxing and that you mean business. Its sharp-edged paint on its outer surface makes the glove entirely distinct. Venum Elite Gloves are available in light, bright and dark colors. Each glove comes with an artistically painted outer appearance that will not only suit the user's color preference. It will also suit what the fighter is trying to portray in the ring or to his opponent. Glove that will perfectly suit you. sparring or about to join a competition. These group of Elites is far more comfortable compared to the Challenger 2.0 lineup. But, the amount of these Elites is about generally higher. superior training experience at a low price? These gloves may not be perfect for everybody, but it sure has everything you need to be able to improve your boxing skills. Besides, we cannot ignore the fact that the name of the glove is Venum. Well, it may sound an exaggeration if we say that this glove can help you become one who’s capable of throwing deadly punches. But, its features and functionality are no doubt enough to help you develop better boxing feat. With its reasonable price, comfort and performance, it’s so easy to see why these gloves must be part of your boxing regimen.